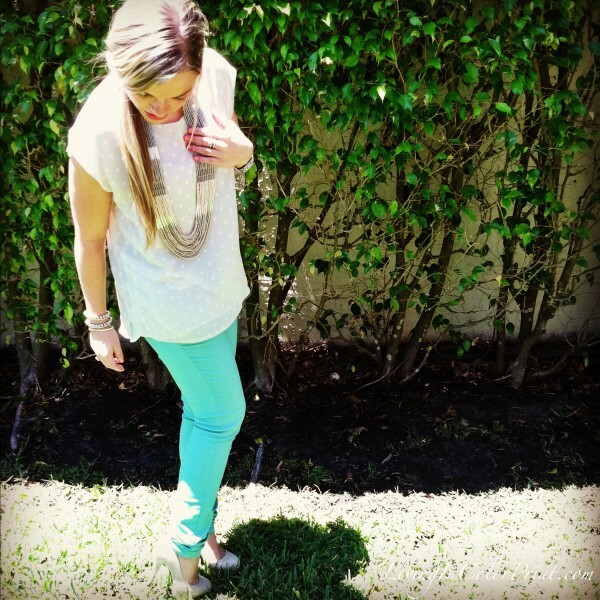 Spring is in full bloom and I can’t seem to get enough of pastels. Who isn’t loving mint right now? The fresh colored pieces are selling out like hot cakes everywhere! 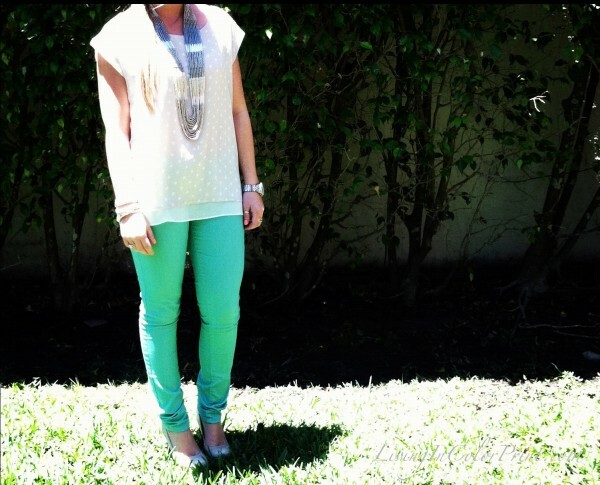 It’s an amazingly versatile color this season that can be paired to create whatever look you’re going for. 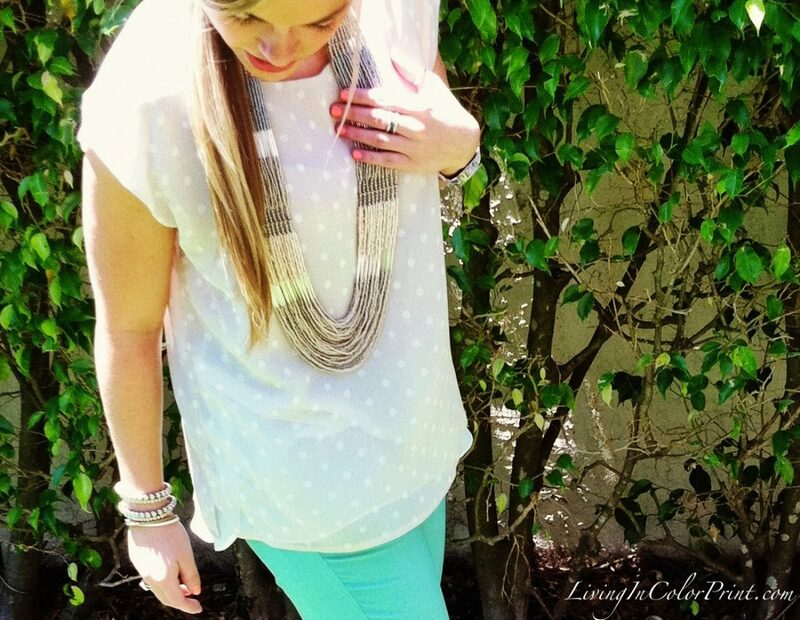 Today I was inspired by this gorgeous beaded tribal necklace from LOFT: OB-sessed. 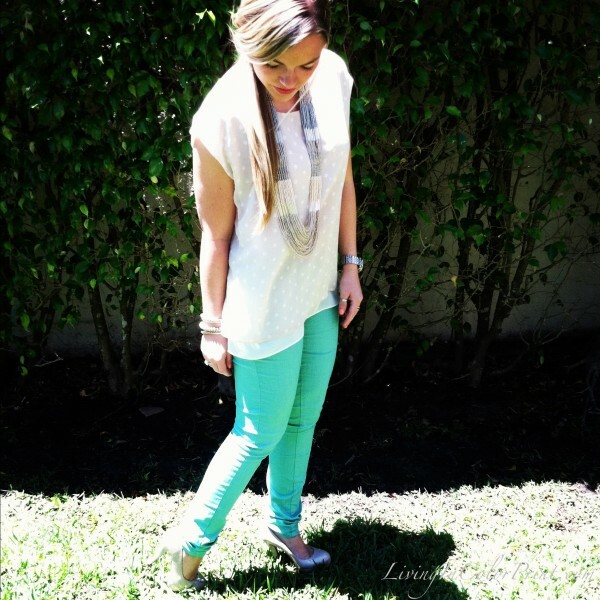 I paired it with a soft polka dot blouse and these mint skinnies for an effortless spring look. I love your jeans. I bought the similar style at F21 and regret not getting more colors. Will love to have a lavender and white pair but they never have my size. :(. Love your whole outfit. That top/necklace combo FTW! Absolutely loveee. That outfit came together nicely!